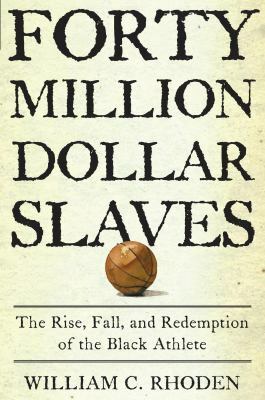 This month, we offer book reviews by Shenisis Kirkland, a second-year student at Middlebury, a Brooklyn native and a student staff representative at the Anderson Freeman Center; Hector Vila, who has taught in the Writing Program at Middlebury College for more than 10 years and regularly publishes his writing on The Policy; and Jeff Rehbach, current conductor of the Middlebury College Community Chorus and former Middlebury College staff member in the Library and IT departments who retired in 2010. During Career Day, I happened upon the comic Black Panther. As the only black superhero in the Marvel film and comic universe, I wanted to see if the hero held up to the standard of alternative headliners like Deadpool and the ever-returning, ever younger Spiderman. 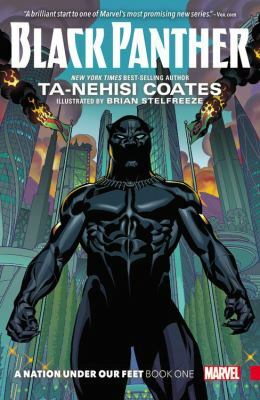 The republished comic by author Ta-Nehisi Coates offers both surface-level reading pleasure as well as insight into Coates’ proposed solutions to problems facing the our society today. Stepping aside from the veil of humor our two red-costumed friends often don, Black Panther manages to sustain an addicting intensity, bringing to life a passionate queer love-story, a government conspiracy, and a platonic and shared love for the common man. Coates juggles a lot here, but it’s never overwhelming. If you have a love for drama, conspiracy, betrayal, and international politics, his refreshing take will engulf you whole-heartedly in the fictional nation of Wakanda. Nothing is expected, which I felt was nice break from the cumbersome repetitions of class and exam, class and exam, lunch date, and then another class and exam. Both women and men are given power and control, and often function within the intersections of sexual and racial minority. It’s funny, empowering, and inspiring. Black Panther allows you to laugh at its characters and at yourself because of how well you resonate with them. And, somehow your daily load seems slightly more manageable as it teaches you how to fail gracefully and succeed modestly. The comic begins with a crumbling Wakanda. You don’t know who you’re meant to align yourself with. It was refreshing, considering that the climate on campus has us so tightly grasping to our own allegiances. My prediction, and my experience, is that you will struggle with who to love and who to hate in this comic. But in the end, you will find a place in your heart for everyone, stubborn rebel and naïve leader alike. Coates finds a way to conjure both an aversion to love of all kinds, and also to force its permanent embrace. From the perspective of an all-black civilization, the comic has the ability to live above the restrictions of race that many black-American works are forced to acknowledge. That said, the comic is also a critique on how, as people, we must do better-for everyone. It becomes clear that Coates believes a warm extension of kindness and understanding is all we need to cure our ills. Published just over a year ago, A Truck Full of Money by Pulitzer Prize winning author Tracy Kidder details the life of Paul English, an entrepreneur who became an overnight millionaire to the tune of about $120,000,000 upon the sale of his web-based travel company, kayak.com. Kidder weaves together an absorbing look at Paul English’s life and his personal and professional relationships, from his early years at home and school — where he never quite fit in — to his business failures and successes. Throughout the book, Kidder intimately looks at how English struggled to deal with bipolar disorder and hypomania as a student, husband, parent, team leader, and software coder. 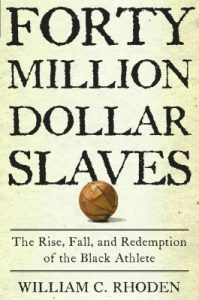 Kidder weaves together numerous strands of contemporary society in his narrative, drawing on personal interviews and detailed research. For example, he describes several aspects of the growth of software coding and the internet, including a nearly reverential look at the work of Stanford University’s computer scientist Donald Knuth. He describes the poverty of the homeless in Boston and destitute residents of Haiti, where English supports health care initiatives with his newfound wealth. He examines teamwork, personal loyalty, and mentoring that contribute both to successful startups and to wildly imaginative workplace environments and ventures that collapse. 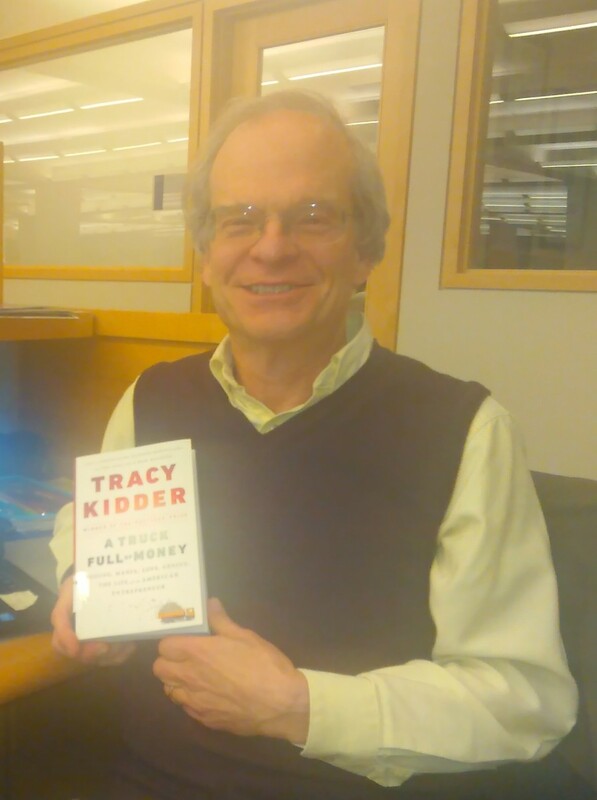 I found Kidder’s portrayal of the life of this entrepreneur and the world of information technology so different from what I expected and from what I encountered during my career here at Middlebury. I recommend this book for anyone curious for a glimpse at a brilliant student, anyone who has found traditional educational paradigms challenging to navigate, or anyone who has striven to find themselves and manage life in the fast-paced world of internet development during the past twenty-five years.